Honoring the placenta is a way to honor the life you’ve bore and your body’s ability to birth. We offer two ways in which you may choose to honor this organ that served the important function of sustaining your baby in utero. Placenta encapsulation is the process of preparing, dehydrating, grinding, and encapsulating the placenta. Anecdotal evidence suggests that placenta consumption may lessen or prevent postpartum depression or "baby blues"; replenish iron from blood loss during birth; help establish an early and healthy milk supply; and stabilize ever-changing hormones post-birth. A variety of capsule sizes and flavors available upon request. 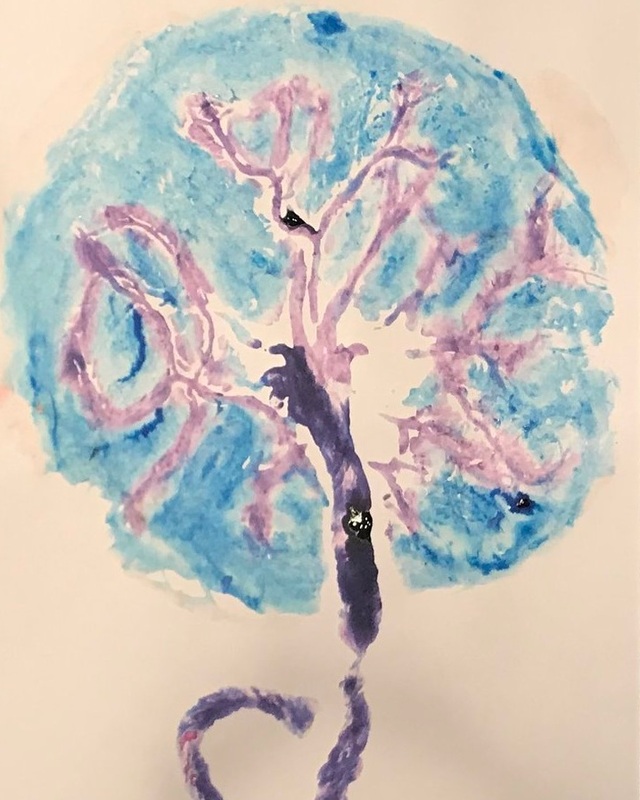 A visual reminder of the miraculous connection between baby and womb, a placenta print is created by painting edible, non-toxic pigment onto the organ and then imprinting it onto acid-free paper. This fine art print makes a beautiful addition to a nursery or memory book.